aloo roti recipe | potato roti recipe | how to make alu roti with detailed photo and video recipe. 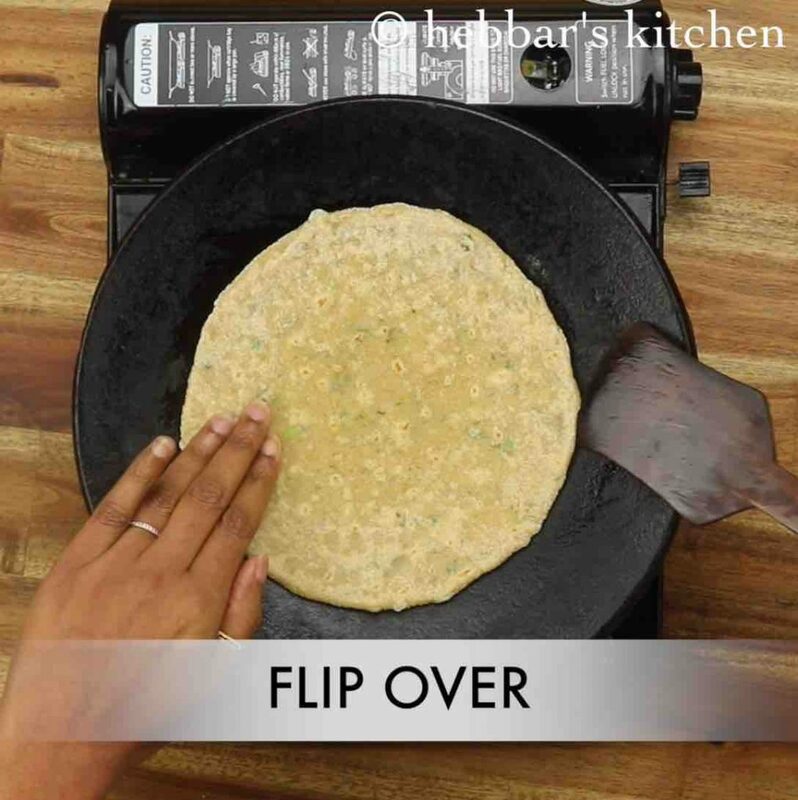 a healthy and easy way of making a potato infused indian flatbread recipe. 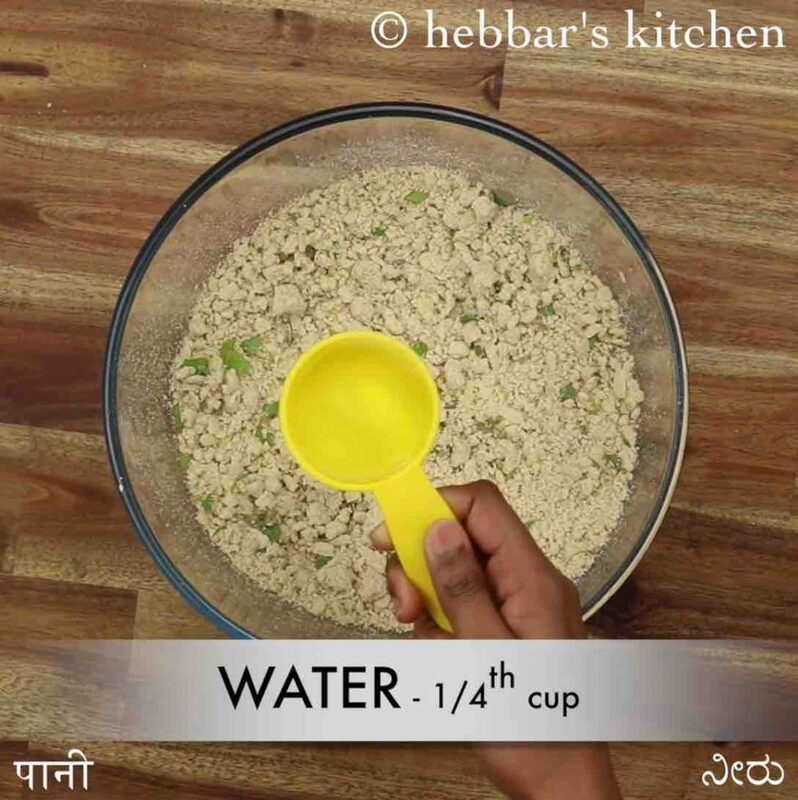 it can be an amazing alternative to chapati or roti. these potato-based roti’s are ideal for your next lunch or dinner and can be served with just raita or spicy tangy pickle. aloo roti recipe | potato roti recipe | how to make alu roti with step by step photo and video recipe. there are myriad ways to make roti or indian flat breads making it a versatile staple for many indians. 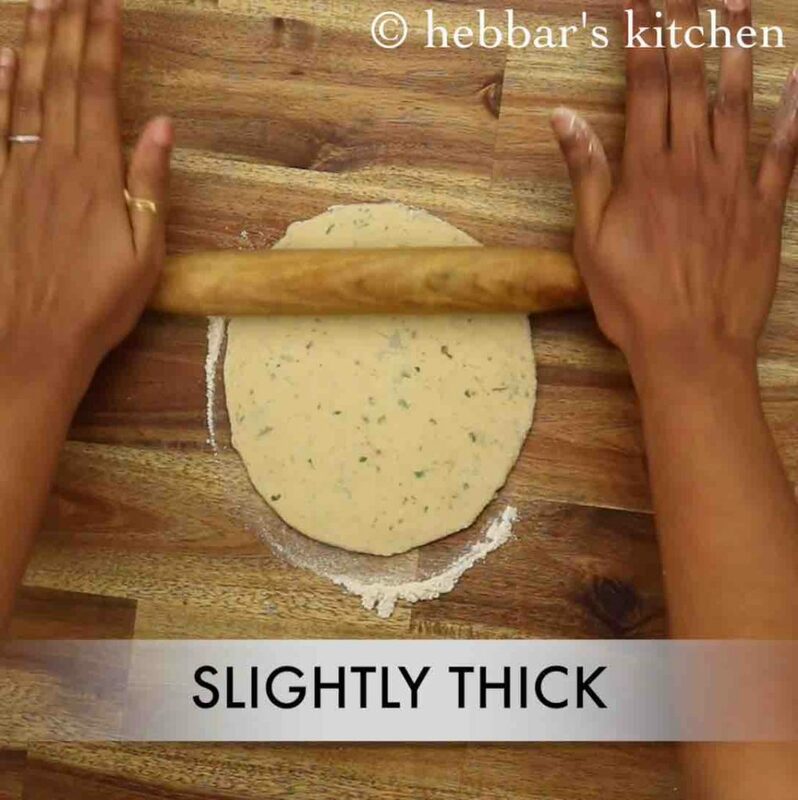 it is generally made with wheat or plain flour with or without extra flavour or ingredient infused to the dough. 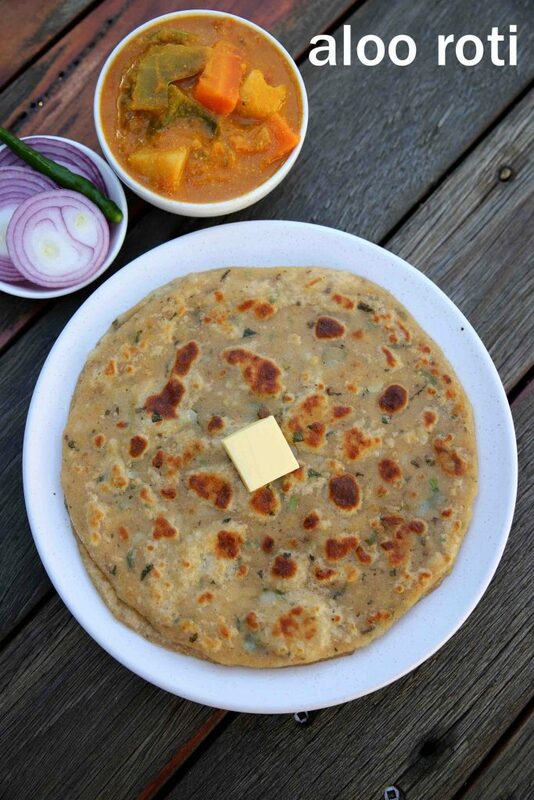 but this recipe is unique and the boiled potatoes are directly mixed to the wheat dough and thus making an healthy roti recipe. 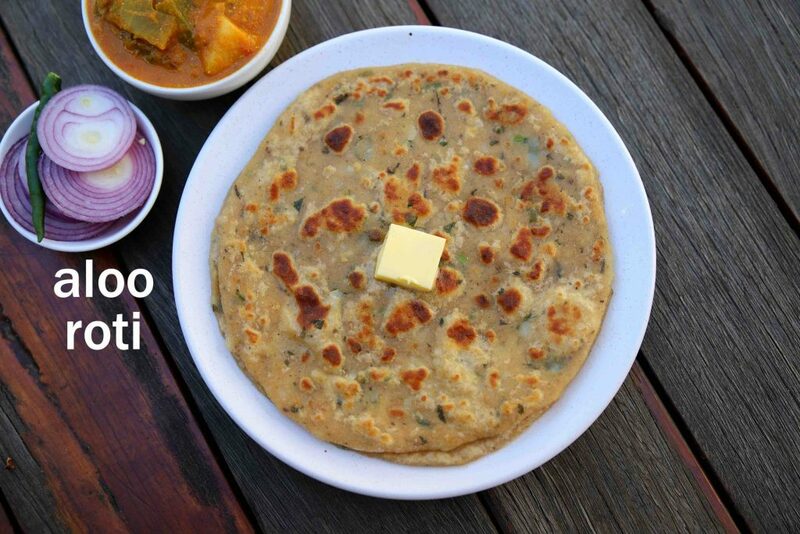 i guess by now, many would have confused this recipe with the popular stuffed punjabi aloo paratha recipe. whenever you have aloo and flatbread together in one recipe, it fair to assume the alu paratha. but trust me this recipe is entirely different from it. there is a major difference between these 2 recipes. basically the main difference in these 2 recipe is, in this recipe i have mixed and infused the boiled and mashed potatoes within the dough. in other words the recipe is very similar to thepla or masala roti where the spiced ingredient is mixed directly to wheat dough. 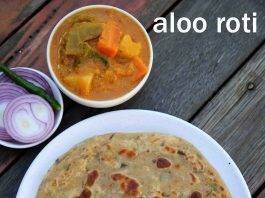 whereas, in aloo paratha, the aloo stuffing is prepared separately and later stuffed within the wheat-based covering to roll it into a flatbread. while there isn’t any complicated steps in this aloo roti recipe, yet some tips and suggestions for perfect recipe. 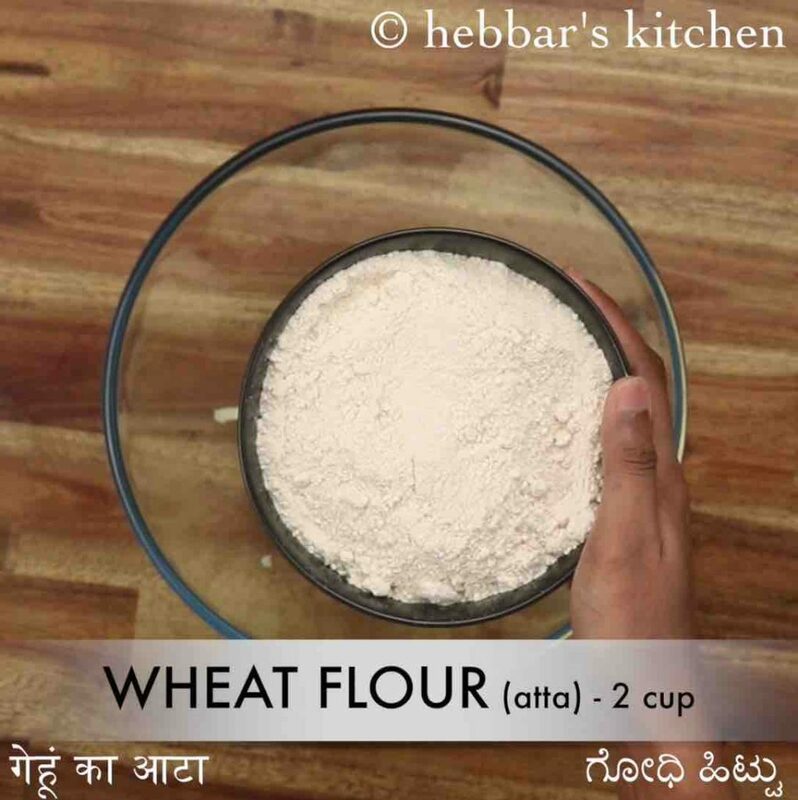 firstly, the recipe can be shaped to desired shape as per your preference. i have shaped it to basic circular shaped roti, but it can be made as triangular and even square-shaped roti. secondly, these roti’s remain fresh for days and hence can be prepared as travel meal. moreover it does not require any fancy curry and can be eaten as it is. lastly, the same recipe can be extended by adding other boiled and mashed veggies to the wheat dough. for instance, you can add gobi, carrot, peas and even broccoli for extra flavour. 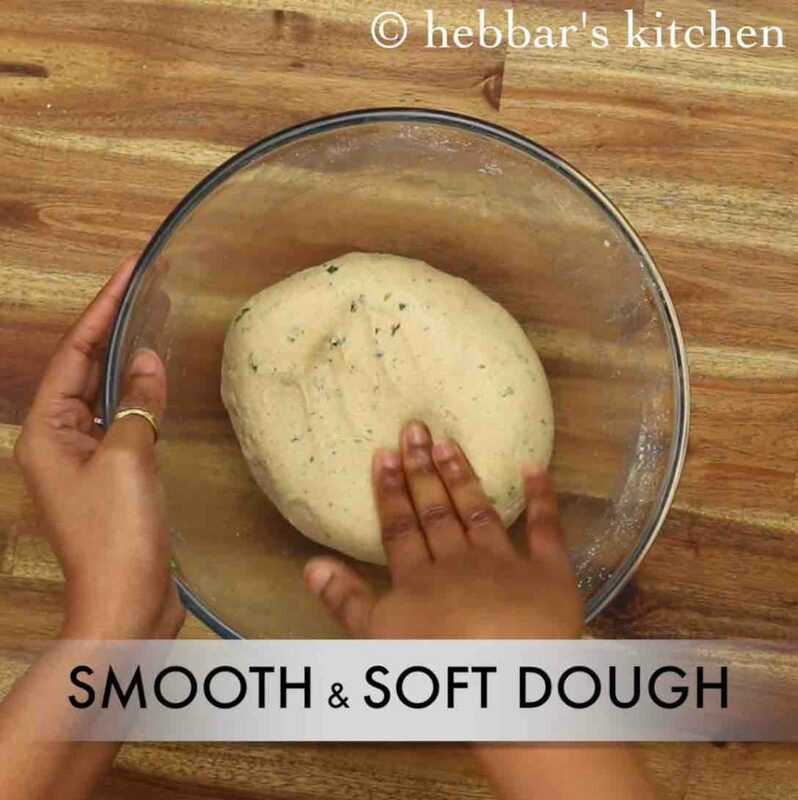 firstly, in a large bowl take all the ingridents and knead to a smooth and soft dough. 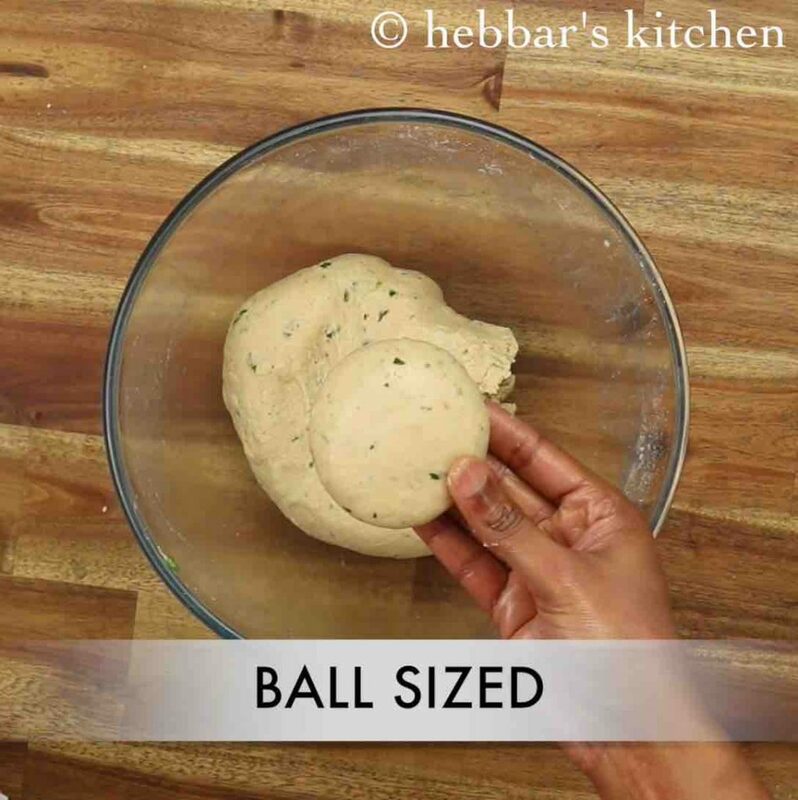 pinch a ball sized dough and flatten slightly. dust with wheat flour and roll gently. 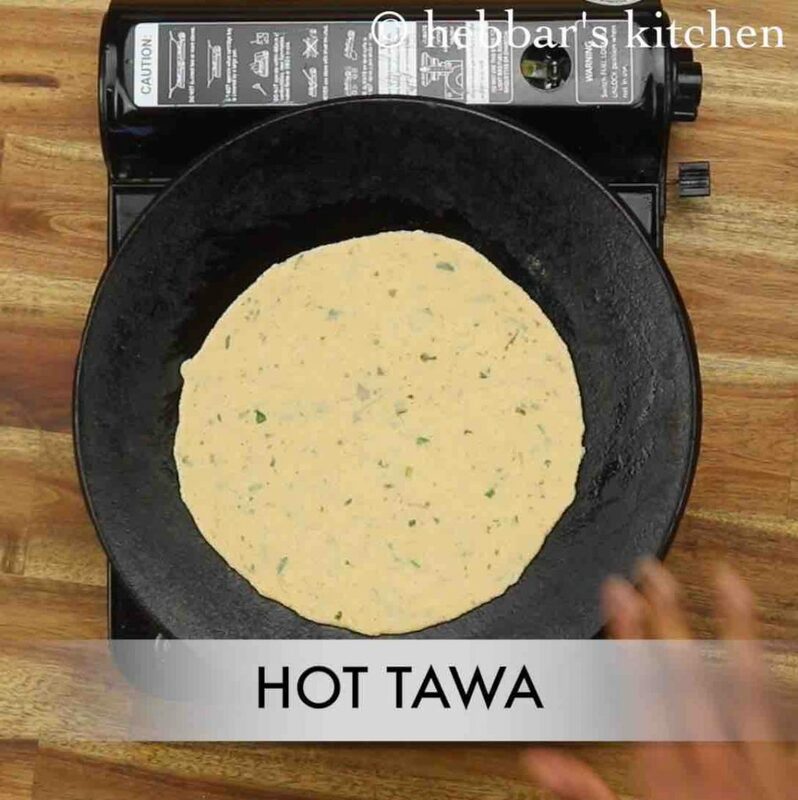 now on a hot tawa place the rolled roti and cook for a minute. furthermore, when the base is partly cooked, flip the aloo roti. 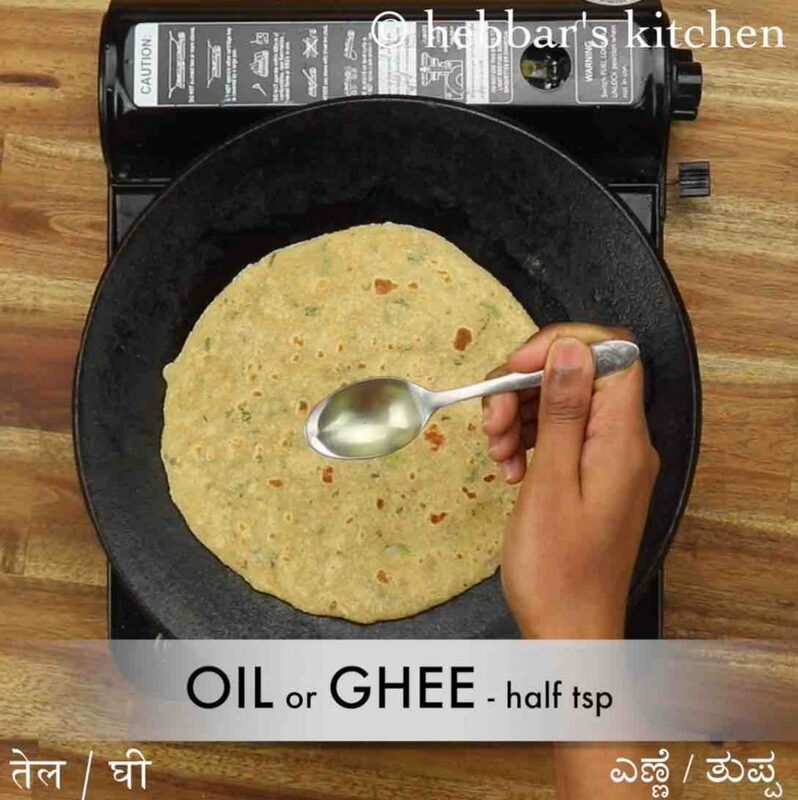 also, spread ½ tsp oil / ghee and press slightly both the sides. finally, serve aloo roti with mix veg sabzi, raita and pickle. firstly, in a large bowl take 2 boiled & mashed potato and 2 cup wheat flour. 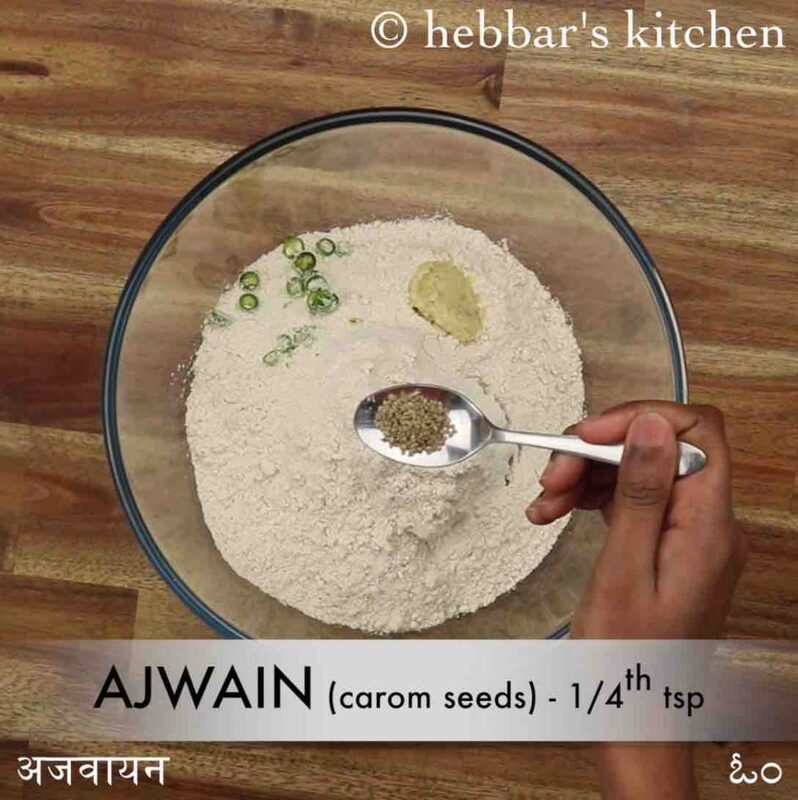 also add 1 chilli, ½ tsp ginger paste, ¼ tsp ajwain, ½ tsp coriander seeds, ½ tsp cumin powder, ¼ tsp chilli powder, ½ tsp garam masala. 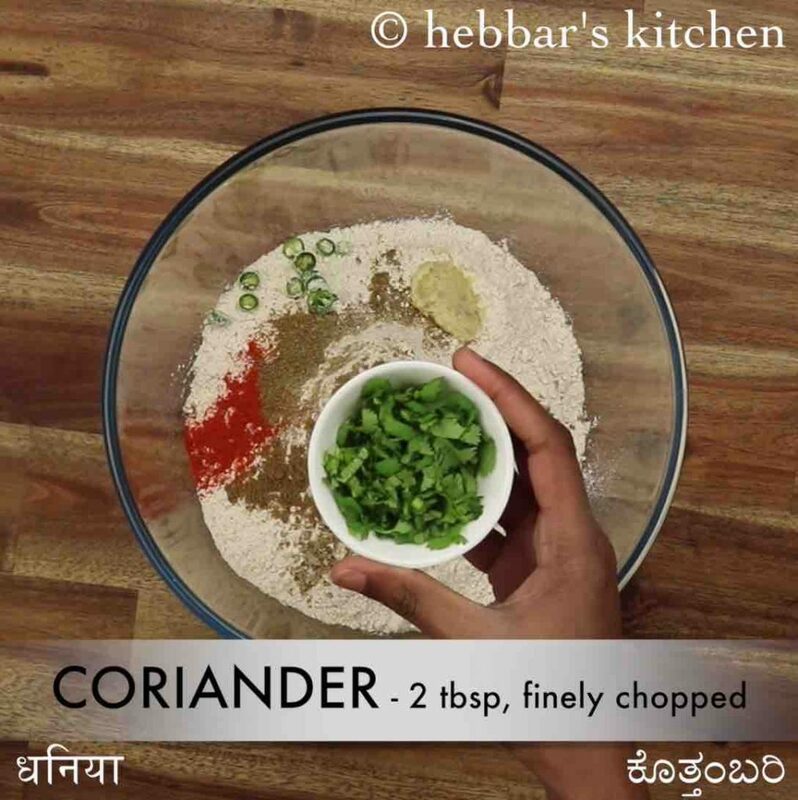 additionally add 2 tbsp coriander, 1 tsp lemon juice, ½ tsp salt and 2 tsp kasuri methi. 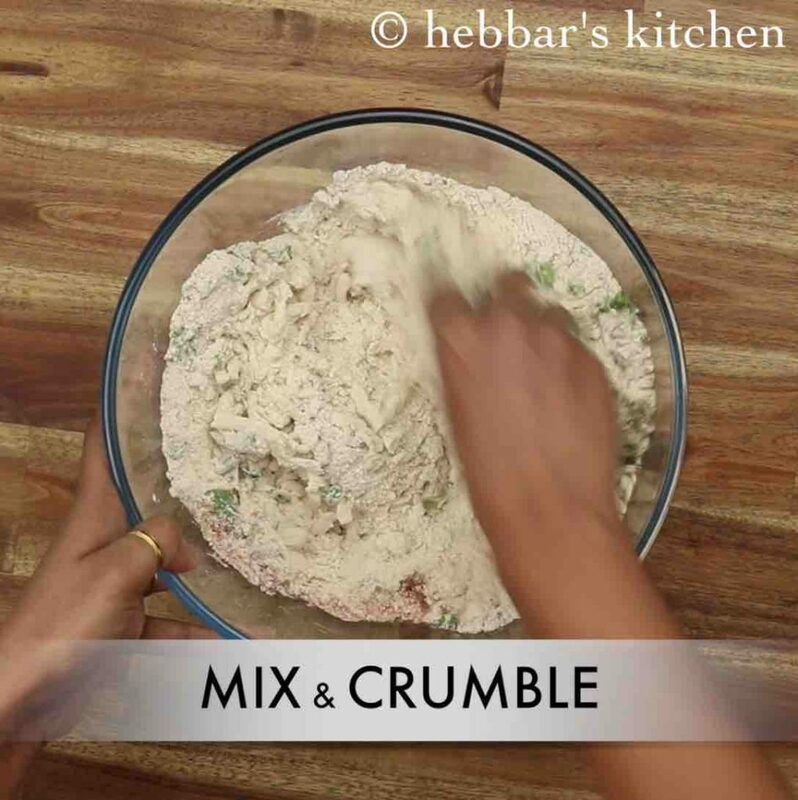 crumble and mix the dough for 2 minutes without adding any extra water. 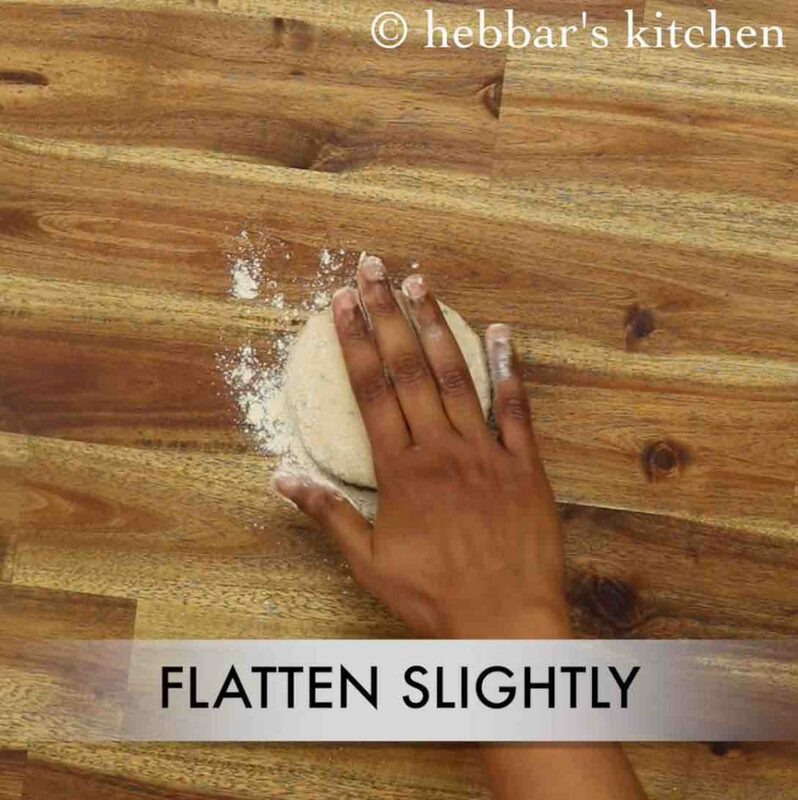 now add ¼ cup water and knead to a smooth and soft dough. add water as required. 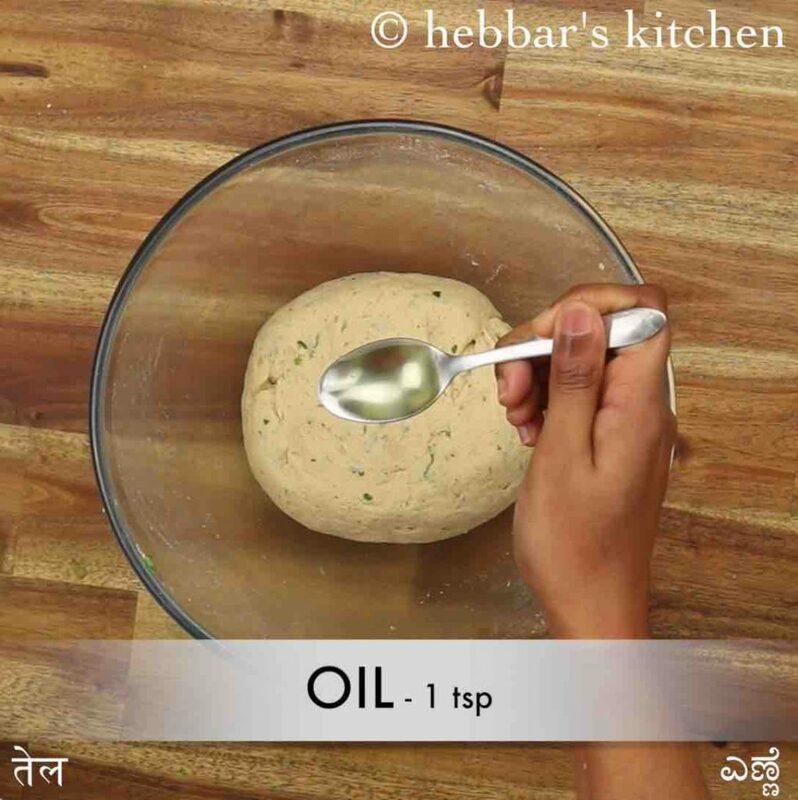 further, add 1 tsp oil and knead the dough. firstly, pressure cook aloo well, else it will be difficult to knead the dough. also, the roti can be folded triangle and rolled for layered roti recipe. additionally, add onions to make roti tastier. finally, aloo roti recipe tastes great when served hot.